Gal Kirn holds a PhD in political philosophy from the University of Nova Gorica (2012). He was a researcher at the Jan van Eyck Academie in Maastricht (2008-2010), and a research fellow at ICI Berlin (2010-2012). 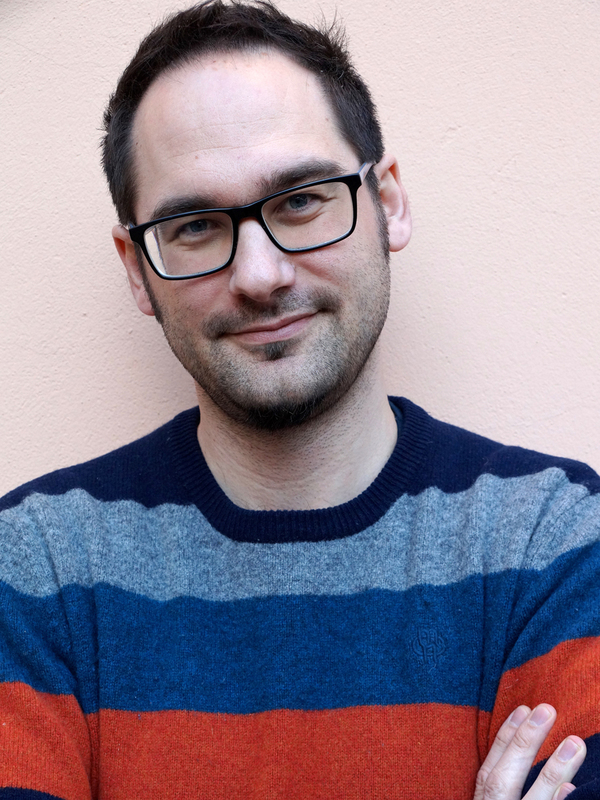 He received a fellowship at the Akademie Schloss Solitude in Stuttgart (2015), and was a postdoctoral fellow of the Humboldt-Foundation (2013-2016). He has been teaching courses in film, philosophy, and contemporary political theory at the Freie Universität Berlin and at Justus-Liebig-Universität Gießen. Kirn published Partizanski prelomi in protislovja trznega socializma vJugoslaviji (Partisan Ruptures and Contradictions of Market Socialism in Yugoslavia) at Sophija (2014). He is a co-editor (with Marian Burchardt) of Beyond Neoliberalism: Social Analysis after 1989 (forthcoming, Palgrave Macmillan), (with Peter Thomas, Sara Farris, and Katja Diefenbach), Encountering Althusser (Bloomsbury, 2012), (with Dubravka Sekulić and Žiga Testen), and of Yugoslav Black Wave Cinema and its Transgressive Moments (JvE Academie, 2012). He is also editor of Postfordism and its discontents (JvE Academie, B-Books and Mirovni Inštitut, 2010). Failure or Dissent of Democracy? Riots, by definition, threaten any ordinary and democratic order: violent disruptions without political articulations, they are often seen as errors and failures. But can we not detect a certain potential for democratic renewal in a riotous form of dissent? If indeed political thought is marked by a prolonged ‘hatred of democracy’, the first object of this disdain was provoked by a “fear of the masses”. The spontaneous crowd is associated with irrational outbursts that are in essence anti-democratic, and as such “other”, and therefore requires regulation, and, if necessary, suppression. The recent return of sub/urban riots (Joshua Clover), sees this opposition intensified also on the side of governmental policies. The dominant response sees riots as a total failure: failure of rioters (frequently identified as ‘immigrant’) to integrate into Western societies, failure of modernist architecture/social housing that alienates people, failure of welfare state and social programs, failure to compete on market, failure of unregulated migration and multicultural society. Against this demonic moralization of the riot, the question needs to be asked: what do riots do in the first place? they attack the consensus of a wide political spectrum (social-democrat, liberal or conservative), they attack the notion of respect for security/order and the safeguarding of private property. This is a traumatic core revealed by the failure not of riots but of (post)democratic societies themselves. In a second step, the project concerns itself with the possible commemoration of riots. If a monument is commonly designed to elicit collective consensus, what kind of form and practice would do justice to a “dissensual monument to dissent”? First year’s research confronted a model of Kippbilder to the parallax view (Žižek). Thinking in a parallax way means to grasp the irreducible tension between different fields but also within the research object itself. It will focus on the theoretical procedures in works of Marx (object of capital), Benjamin (temporality) and Ranciere (politics and aestehtics). Then we proceeded to specific analysis of partisan memorial sites and partisan poetry from WWII. Against nostalgic glorification of good old times and against depicting Yugoslavia as totalitarian gloom, the analysis strives to show how different artworks articulated a much more complex political narrative and symbolic imagery of Yugoslav adventure. The second year will focus on the partisan films from WWII (counterarchive) and confront it with films on partisan that became the dominant genre film platform in Yugoslavia. We will address the question how, if at all was it possible to formalize or memorialize the Yugoslav revolution (rupture)?